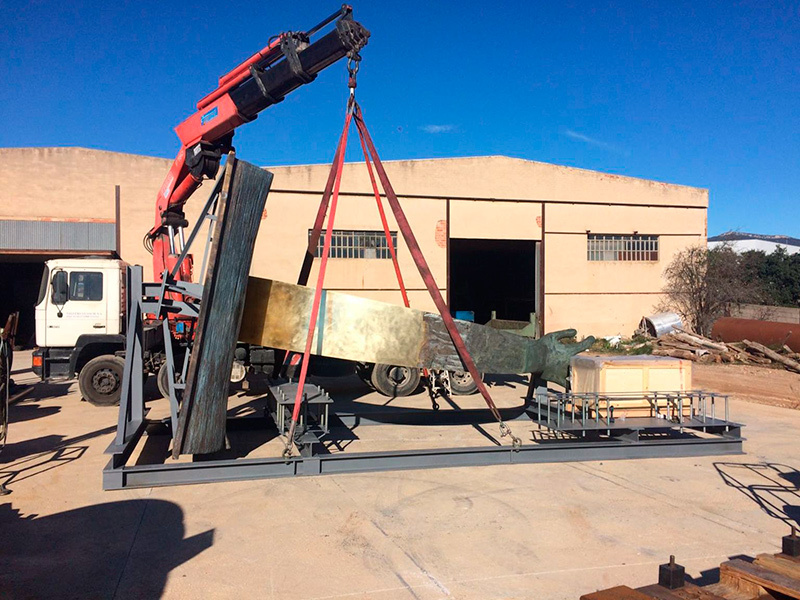 On december 2015, the spanish company Fundición Artística Vila, focused and specialized in lost-wax bronze art casting processes, chose the Smart Logistics Group for the delivery of some of their works of art to India. 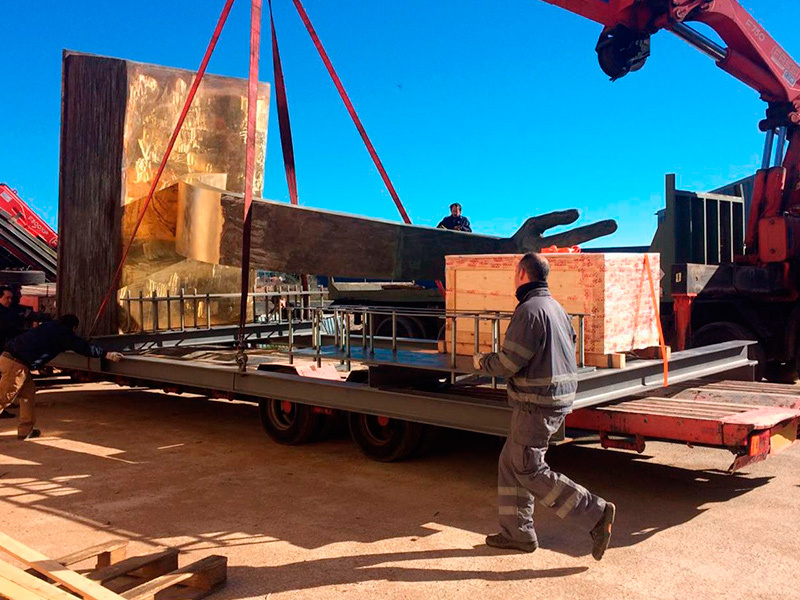 One of the most remarkable shipments was the sculpture “Mine No Mine“, an aluminium work of art with the following measures, 450x500x300 cms and a total weight of 500 kgs. 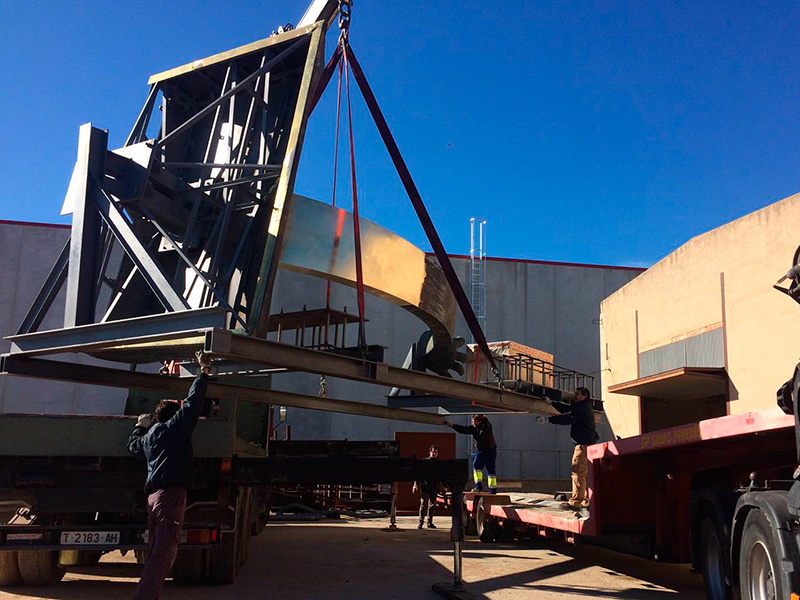 The shipment was divided into two parts, which were loaded and secured correctly in a 20′ open top and 40′ open top containers, delivered from the Port of Barcelona in Spain to Jawaharlal Nehru Port in Mumbai, India. 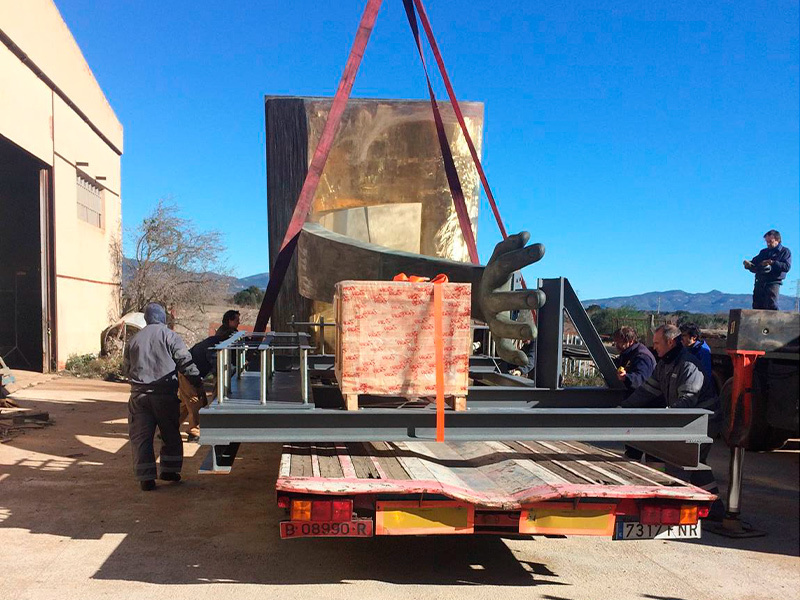 Another successful shipment was the work of art “Rise Through Education“, a high-volume sculpture with a total weight of 10.886 kgs made of bronze and brass. 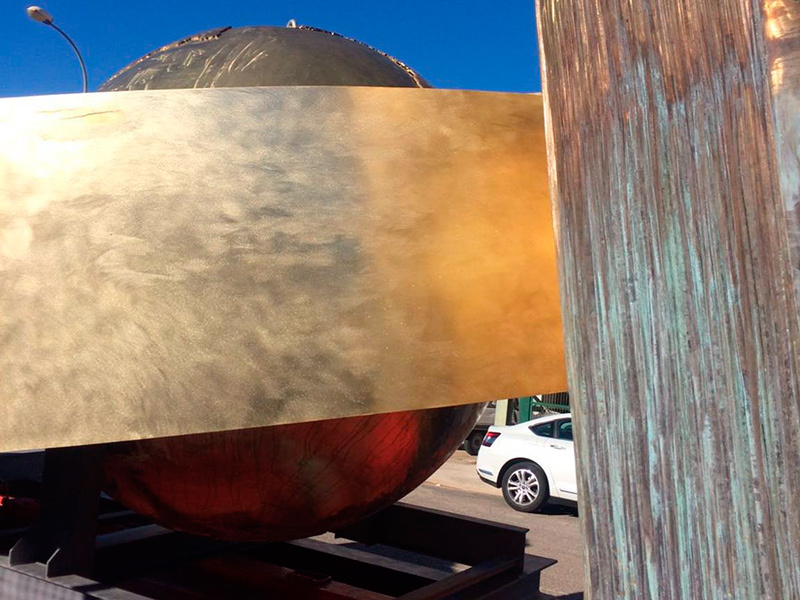 Due to their large dimensions (725x625x370 cms), it was loaded in two 40′ flat rack containers. 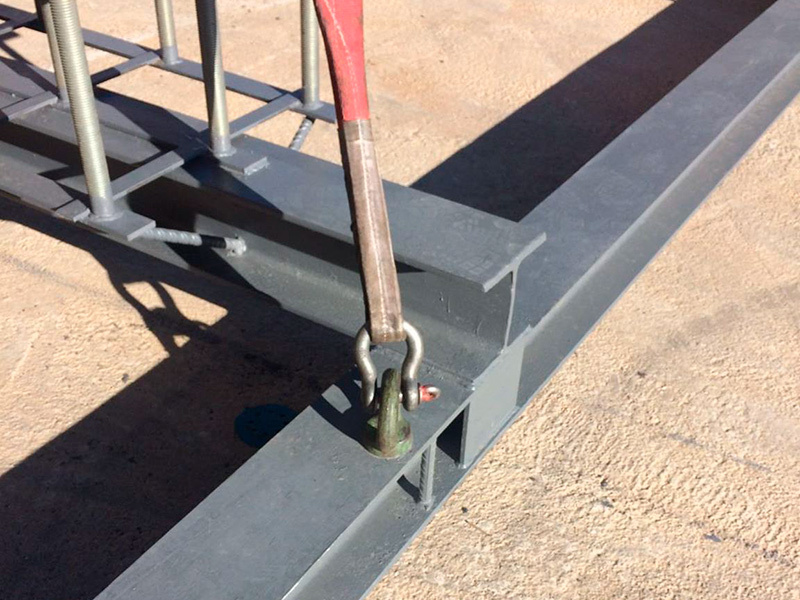 In this case, in order to fully store and secure the sculpture, the use of cargo lashing straps, security seals, PVC cornerpieces, rubber protections and anti-slide mats were needed. 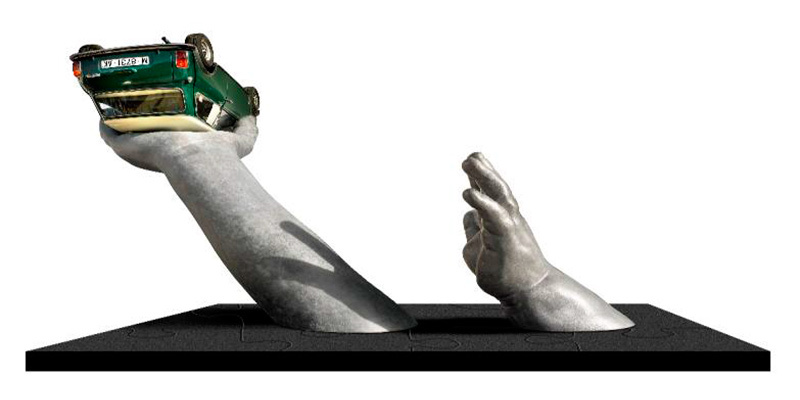 This sculpture was placed in a University in India.